Choose from our range of ready Christmas gifts or select the products you'd like and get them gift wrapped and delivered to your door. Our superior health and wellness products and collections make fantastic gift baskets and hampers for men and really are the best way to show you care this Christmas. Products include the finest ingredients to promote health and wellbeing. Does Your Man REALLY Need Another Jumper? 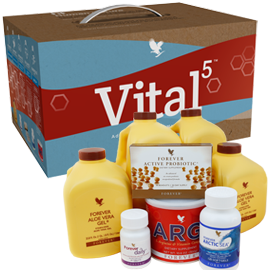 Vital 5 - A Fantastic Gift of Health For Any Man! Combines 5 essential products from Forever Living for advanced nutrition and ultimate vitality. 4 x Forever Living Aloe Vera Gel - Pure stabilised aloe vera gel which is as close to the natural plant juice as possible, containing over 200 different compounds. This rich source of nutrients provides the perfect supplement to a balanced diet. Drink to promote a healthy lifestyle and well-being. 1 x Forever Daily - A food supplement designed to deliver 100% of the recommended daily allowance (RDA) of essential vitamins and bio-available minerals and nutrients, Forever Daily combines 55 perfectly-balanced aloe-coated nutrients to support optimal health and vitality each day. Take with the Aloe Vera Gel for best results. 1 x Forever Active Probiotic - Healthy gut flora and normal functioning of the digestive system is the basis for well-being. These easy-to-swallow beadlets contain a unique combination of six beneficial strains of microbes. No refrigeration required, making them easy to take while travelling. 1 x Forever Artic Sea - The human body needs omega-3 fatty acids but is unable to make them, so this important ingredient should be included in our diet. With its blend of natural fish and calamari oil, Forever Arctic Sea is rich in omega-3 fatty acids. 1 x ARGI+ - Keep going all day and deliver optimal performance with ARGI+, which provides five grams of L-Arginine per serving, as well as synergistic vitamins. It is a delicious and nutritious drink that rapidly tops up energy stores and is ideal for high-intensity sport. Gift Idea For Men Who Take Pride in Their Appearance. Range of Products for Personal Care, Look Your Best Everyday! Male grooming is now a booming market as more and more men are interested in taking better care of themselves and their skin. 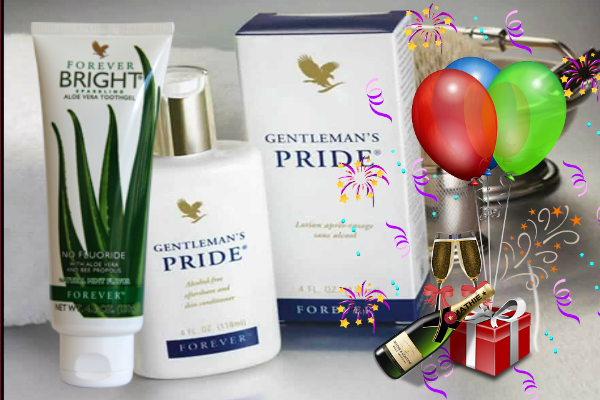 If your guy likes a quality product, he will LOVE our Forever range! If you really want to treat someone - this is the perfect present. 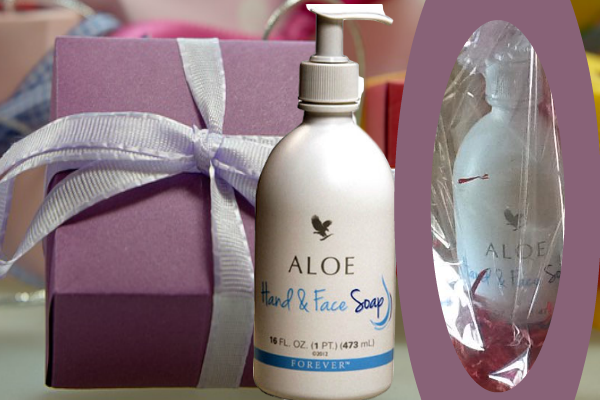 1 x Aloe Hand & Face Soap - Rich and creamy moisturising liquid soap, gentle enough to use on sensitive skin. The mild and non-irritating formula creates a luxurious lather to cleanse the face, hands and body on a daily basis. Perfect for shaving. 1 x Forever Aloe Scrub - This delicate scrub works to remove dead skin cells which clog up pores and cause skin to look dull. Gentle enough for everyday use for your face or body, the natural ingredients of jojoba and aloe vera help to exfoliate, revealing healthy-looking skin. Mix with a small amount of the liquid soap every other day before shaving. 1 x Forever Gentleman's Pride Aftershave Balm - alcohol-free aftershave balm that helps to soothe and condition sensitive skin after shaving. The silky, smooth lotion can also double up as a moisturiser to revitalise the skin and calm irritation caused by razors or exposure to the sun. 1 x 25th Edition Cologne For Men - Exclusively created for Forever, the 25th Edition Cologne is a fresh and sensuous masculine fragrance with an invigorating blend of fruit and herbal accents. This product also includes exotic wood undertones and subtle notes of Mediterranean lavender, refreshing iced pineapple and bergamot. 1 x Forever Alpha-E Factor - Forever Alpha-E Factor is a light skin-replenisher, containing rich ingredients to balance the skin, reduce dryness and create radiance. With a powerful combination of vitamins, this product helps to nourish the skin. Great for sensitive skin and to use for shaving. Mix a couple of drops with the aftershave balm for great results. 1 x Aloe Jojoba Shampoo - PH-balanced formulation with stabilised aloe vera gel. Suitable for all hair types and can be used to help replenish your hair’s natural moisture. 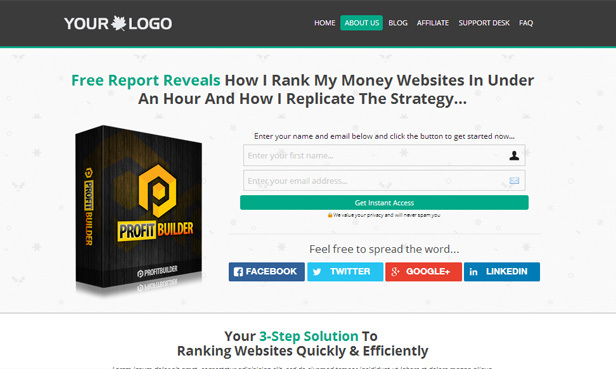 Concentrated formula so a little goes a long way! 1 x Aloe Styling Gel - Alcohol-free and humidity-resistant hair gel, providing optimum holding power with no stickiness. Mould your hair into any style, and keep it looking shiny, strong and healthy. Can be used on wet or dry hair to add volume and shine. 1 x Forever Bright Toothgel - This gentle, non-fluoride formula contains aloe vera and bee propolis to help to strengthen and protect teeth and gums whilst fighting plaque. With no bleaching agents, children as well as adults will love it! 1 x Aloe Deodrant Stick - Aloe Ever-Shield Deodorant provides effective, all-day protection. This gentle and yet powerful product is non-irritating and does not stain clothes. The aloe vera formula contains no alcohol or harsh aluminium salts usually found in anti-perspirant deodorants and can be used to soothe after underarm shaving and waxing. Fantastic products for facial care. This gift pack is a great present for any man interested in quality products that help to keep the skin moisturised, smooth and in great condition. 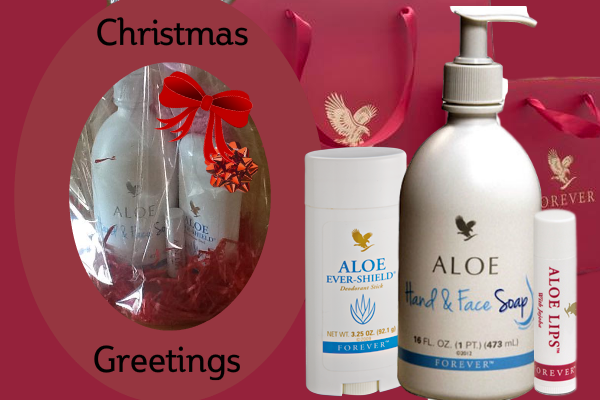 Wash and shave with Aloe Hand and Face soap - a gentle cleansing formula that moisturises at the same time. Forever Aloe Scrub can be used every day or every other day to gently remove dirt and grime, allowing for new skin cells to come through. Finish your daily routine with Forever Gentleman's Pride, our popular aftershave balm enriched with soothing aloe vera gel. 2 great products for shaving plus lip care. Get a closer, smoother shave using our aloe hand and face soap. This mild formula not only cleans but moisturises and conditions the skin too. Pump action for easy application, is mild enough to be used daily. What better product to use after shaving than our after shave balm. This is a no alcohol formula and is used to soothe away any irritation caused by shaving. After all, shaving is not always straight-forward. This is a lovely smooth, silky balm and can soothe and replenish skin anytime. Aloe lips complete this set - use often to keep lips moisturised. Fantastic products to help you take care of your hair. Women are not the only ones who like a good, quality shampoo! 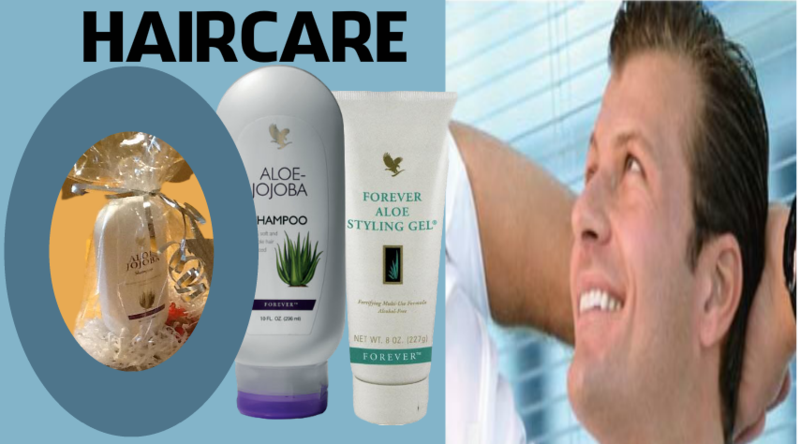 This shampoo from Forever Living combines aloe vera gel with jojoba oil to give you shiny, great looking hair. Suitable for all hair types. Jojoba oil is an excellent lubricant and is often found in haircare products to help provide nutrients and moisture. Multi use styling gel, provides optimum holding power. Humidity resistant and alcohol free. Style your hair any way you choose! 3 great products to restore vim and vigor! Beat the hangover blues with this set of products to keep you feeling in tip top shape. Aloe Vera Gel is full of nutrients which can help you recover energy and vitality fast. Bee pollen is a natural supplement containing no artificial flavors or preservatives and is also known as a superfood. Aloe Heat Lotion can help to relieve tension and is perfect for massage. Don;t forget our products are uniquely formulated with stabilized aloe vera gel as the primary ingredient! Forever Living Product's Make Wonderful Christmas Gifts and Make A Nice Change To The Usual Christmas Shirt or Jumper! Aftershave Balm - Our Gentleman's pride aftershave balm is a smooth, silky lotion for soothing and conditioning skin after shaving. TOP Pick - your man will love it! Aloe Hand & Face Soap - This is a very mild formulation and is perfect to shave with. It can also double up as a shower gel. 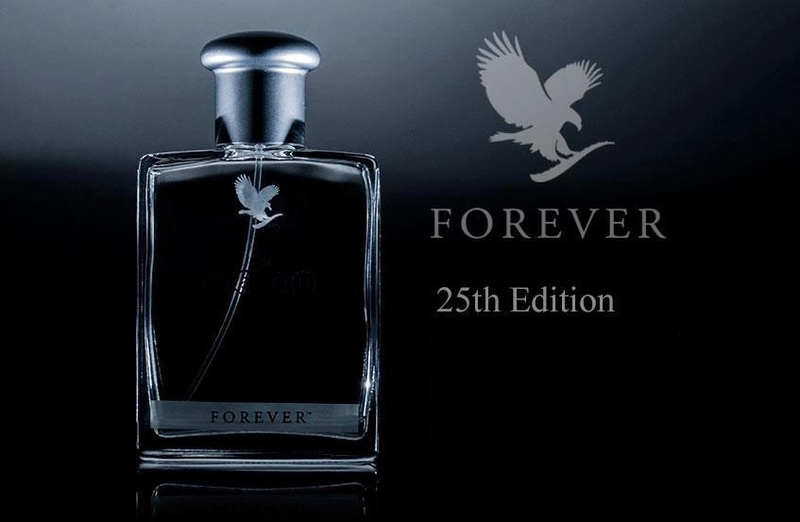 Men's Cologne - Forever 25th Edition. 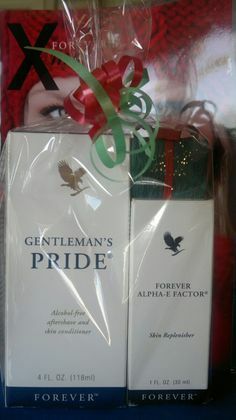 Cologne is always a favourite at Christmas as well as birthdays and this is exclusive to Forever. This is a fresh and sensuous masculine fragrance with exotic wood undertones and subtle notes of lavender. Alpha -E Factor is a powerful skin replenisher and provides great nourishment for the skin. If you man is into skincare, this is a must! Forever Aloe Scrub - Gentle natural exfoliator and a great addition to any shaving or skincare regime. Forever Aloe Toothgel - Flouride free toothgel. Took 7 years to get to market, gentle for all round protection of teeth and gums. Forever Jojoba Shampoo - If your man is into his hair - this makes a really great gift. Combine with the aloe styling gel for a real treat! Forever Aloe Deodrant Stick - Aluminium free - does what it says on the tin. Forever Aloe Lips - Moisturising stick for lips - very handy to have at all times. 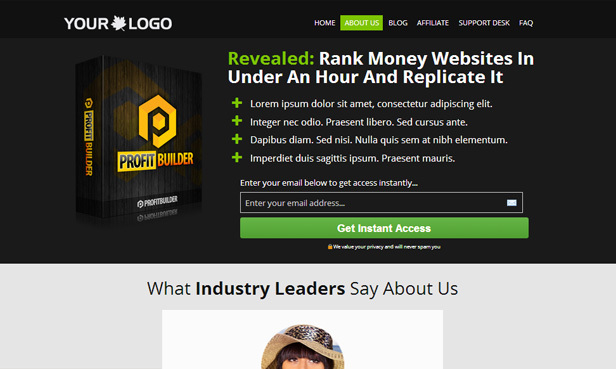 It was quite difficult to put these in order as they are all fantastic products and top quality. They are really just helpful suggestions to give you an idea of where to start depending on what your man is into. We also have a range of moisturisers which are suitable for both men and women so check out the women's gift page and the beauty page for more info. Is Your Man Into Sport? Know Someone Who Would Like To Start The New Year on a Healthier Note?